Every company in the world, whether in health care, the food industry, or retail, benefits from and often requires strong supply chain management to stay competitive. Fortunately, UPMC has one of the best supply chains in the health care industry, ranked among Gartner’s Top 25 Best Health Care Supply Chains. Though varying industry supply chains operate differently, the end objective remains constant: ordering superior products from suppliers for the fairest price, and controlling the distribution of these products throughout the organization. On the clinical side of UPMC, we work closely with vendors of innovative, crucial, and everyday medical products that clinicians require for quality patient care. Gartner speaks highly of UPMC’s Supply Chain, saying that its “deep value analysis capabilities, revenue-generating reach and segmented supply chain thinking are the most mature in the country.” Also nicely put by mhlnews.com, “The UPMC Strategic Sourcing Process leverages supply chain tools and techniques to achieve an optimal combination of price, quality and service for purchased materials, goods and services.” On the non-clinical sourcing side, UPMC works to negotiate contracts and obtain non-medical products, such as office supplies, uniforms, and IT products, for a competitive price. Every company that uses products to provide their respective service to the public has a warehouse or distribution center to house said products. Sometimes these warehouses are small due to low product volume, and are therefore located on site, where as other times companies maintain multiple off-site distribution centers that can be 500,000+ square feet in size! With similar missions across the board, all companies seek to strategically size and place their distribution centers in locations that bring transportation and inventory costs down, while simultaneously delivering the necessary services in a timely manner. UPMC’s Consolidated Service Center (CSC) works in an optimal location for all the hospitals, efficiently delivering products and inventory in both regular and emergency situations. UPMC also has a distribution center in Pittsburgh known as the Southside Distribution Center, which mainly works to inspect, clean, and deliver beds to different hospitals. HC Pharmacy, UPMC’s own in-house pharmaceutical distributor, also stocks its products at the Southside Distribution Center. Additionally, UPMC Supply Chain works closely with a company known as BioTronics, which is mainly owned by UPMC. Together we work on inspecting and repairing all UPMC-owned medical products. 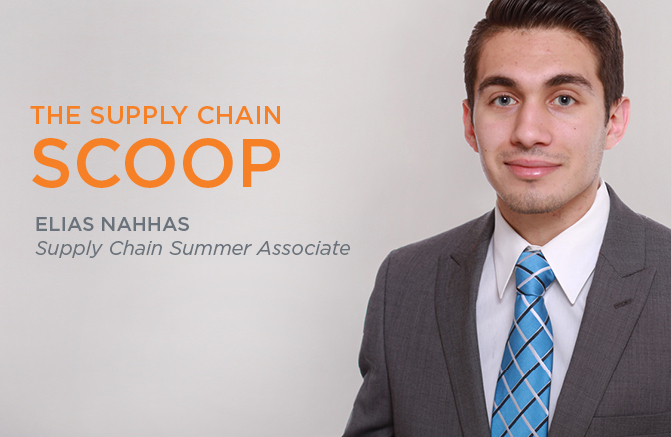 The 750-employee Supply Chain Management department provides vital, widespread service to UPMC. Since Jim Szilagy became Chief Supply Chain Officer in 2006, UPMC’s Supply Chain has generated around $500,000,000 in “total impact” (price savings and rebates) for the organization, excluding the savings made in the pharmacy. That equates to $50,000,000 per year, which is an incredible amount, notably producing positive effects for UPMC as a whole. That’s the UPMC Supply Chain scoop!